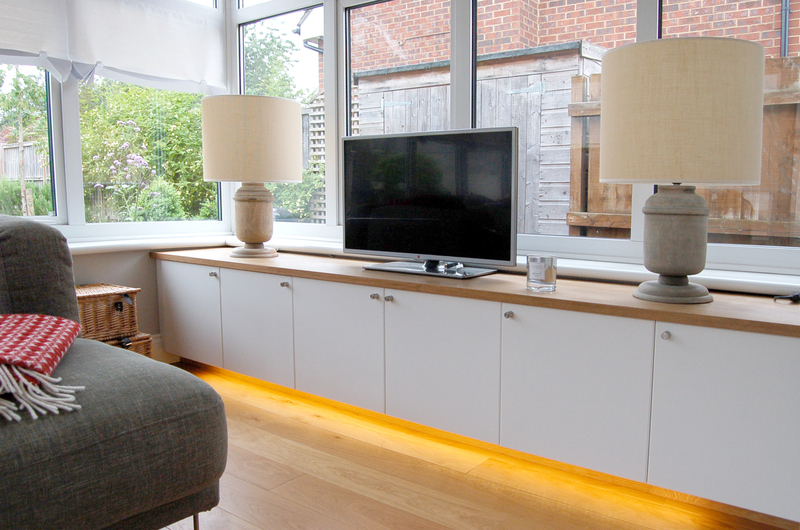 A ‘floating’ wall to wall cabinet. The top is in a 25mm thick solid oak. 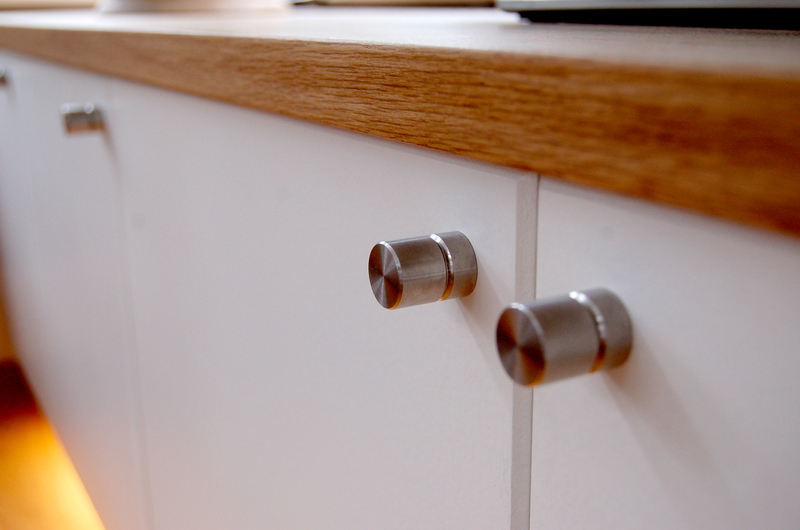 The doors have a subtle bevelled edge and are fitted with simple chrome knobs. 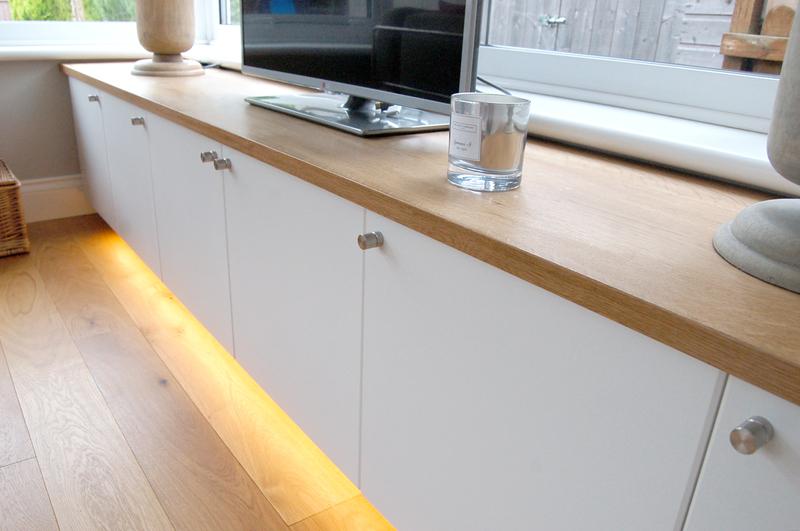 Strip lighting fitted underneath the unit gives off a soft yellow light and emphasises the ‘floating’ effect.